As announced on Sunday, there will be no evening TLM at St Stephen on Wednesday, August 1. Mass will still be available at 7am at Immaculate Conception. 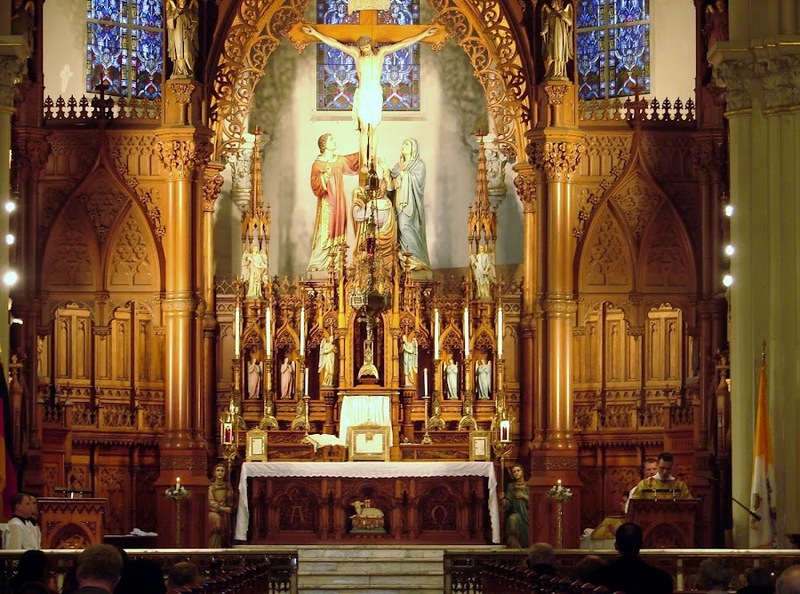 The Traditional Latin Mass will be offered every 2nd, 3rd, 4th, & 5th (if there is one) Saturday every month at 9 A.M. at St. Elizabeth of Hungary, 9016 Buckeye Rd, Cleveland, beginning August 11. Fr. Mezei, the administrator has granted permission to Fr. Bede O.S.B. to transfer his Mass from the Monastery to the parish church in lieu of adequate space and accommodation for the faithful. This move also offers an opportunity to train local clergy in the ancient rite and train grade school and high school youth in serving the Mass. The church is on the Historical Record as the Mother Church for Hungarians in North East Ohio. There is also a Hungarian Museum on property and many other Hungarian cultural events. Spacious parking is available behind the church. Deacon Matthew Weaver, Clevelander, will be ordained to the priesthood of the Institute of Christ the King, and Fr Ireland, pastor of Sacred Heart, wants the TLM Faithful to know the following. Please keep ALL who are discerning or entering the priesthood in your prayers. The Church needs Holy Priests. There will be a light meal, refreshments and a surprise grand finale. All are welcome.